BRYAN EATON/Staff Photo. 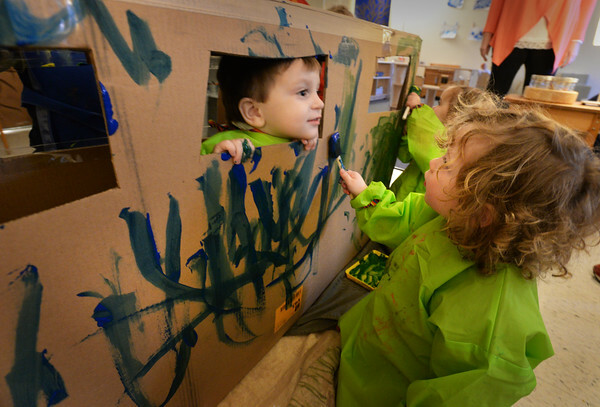 Duke Yewell, 2, gets the paint brush close to Cillian McKiernan, 2, who's poking his head through the window of a bus the toddler class made at the Newburyport Montessori School. They have been about different modes of transportation and next week are going to put wheels on the cardboard cut-out.